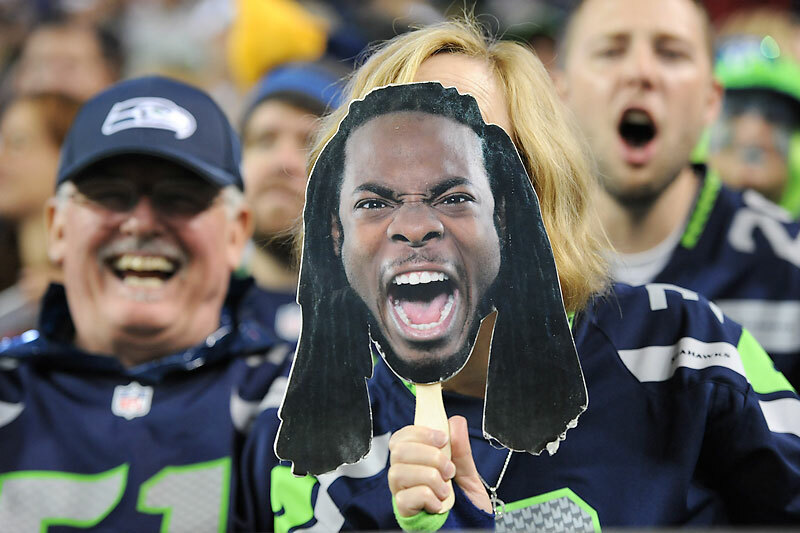 Most of America was shocked when sideline reporter Erin Andrews interviewed Seahawks’ cornerback Richard Sherman in the aftermath of his game-saving pass deflection in yesterday’s NFC Championship Game. You could feel the adrenaline, passion, and violence coursing off his body as he brashly and threateningly proclaimed he was the best defender in the NFL and trash-talked 49ers receiver Michael Crabtree with whom he had tangled throughout the game. Fox sticks a microphone in Sherman’s face AGAIN? Who’s producing this fiasco? This was nothing compared to some of the racism (both subtle and overt) spouted off after the interview. The image of an angry, fired-up black man with dreadlocks standing next to an upper-middle class white woman with a microphone played into many people’s darkest fears. Never mind that this played out on the eve of the Martin Luther King, Jr. holiday. But I admit I’m complicit in this whole scenario. Not because of my tweets (and it’s not as if I have that many followers) but because I’m an avid football fan. We expect our warrior/athletes to act like animals on the field and cheer them vociferously for it. Yet two seconds after walking off the field, we expect them to be transformed into model citizens. “Leave it all on the field” means more to us than playing their hearts out — it means leaving the adrenaline-fueled violence out there as well. We cheer, adore, and financially reward football players who act like gladiators on the field and excoriate these same men when they display violent tendencies off it. It’s no wonder that the two teams with the most suspensions for performance enhancing drugs this year — the Denver Broncos and Seattle Seahawks will be playing in the Super Bowl. 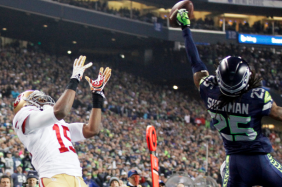 By rewarding and glorifying this behavior we are all complicit in Richard Sherman’s response. It’s no surprise to readers of this blog that I’m an avid football fan — I even flew down to Baltimore with my two boys for last year’s Ravens victory parade. But I admit the game is slowly losing its appeal. Every time I see a jarring hit I now envision the brain whipping around the skull. The acronym CTE (chronic traumatic encephalopathy) takes its place amid other familiar ones like TD, FG, and QB. While the NFL continues to be the most popular and profitable sports league in the world, the game is changing. I’m not sure what the future will hold for professional football but I do know that when we revile the actions of players like Richard Sherman, it’s important to remember that we created the very monster we condemn. As a clergyman, I am always sensitive to the pastoral needs of my flock. As a priest in New England, I realize that many in my congregation are grieving the Patriots loss to the Broncos in the AFC Championship Game. 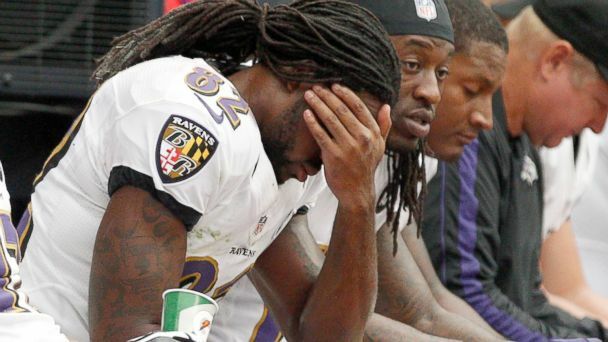 Yet as a Baltimore Ravens fan, I don’t really care about their feelings when it comes to football. So I’m torn in my pastoral duties. Since next week is the Annual Meeting and it’s best to keep the peace, I’ll err on the side of pastoral concern. In times such as these, many are left wondering why? Why did my team lose? Why did God do this to the Patriots? Is God mad at me? To ease some of the confusion, I thought I’d share some light on why the Patriots lost to the Broncos. 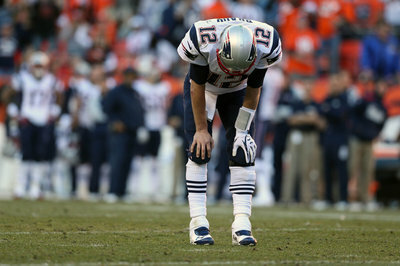 Understanding why is an intellectual response and so Patriots fans will still need time to grieve. I’m sensitive to that and I will walk with them during this painful time. God’s wrath for cutting Tim Tebow after the preseason. (Of course he was also cut by the Broncos when they signed Peyton Manning but whatever. God’s complicated). God prefers Anglicans (aka Redcoats) to Patriots (aka religious dissenters). The continuing Wrath of the Cathedral Nautilus. This doesn’t explain the World Champion Red Sox but that was a beard thing. Punishment for the globalization of Sam Adams Beer. Many patriots in the revolutionary age were Deists. 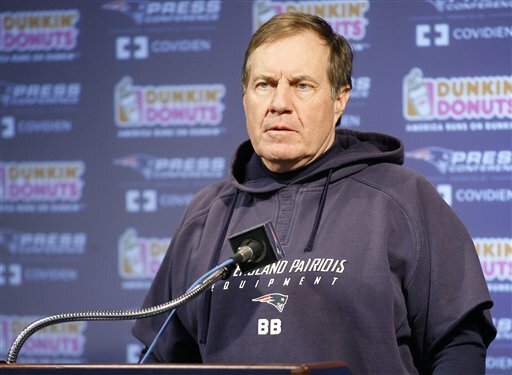 God’s anger at Patriots coach Bill Belichick who lives in Hingham and yet has never darkened the door of St. John’s. The presence on the Patriots’ roster of linebacker Dont’a Hightower (of Babel). Retribution for tossing all that tea into Boston Harbor. Actually, I do know that when your team loses deep in the playoffs it feels like you’ve been slugged in the gut. I feel your pain — truly. As everyone knows, Broncos quarterback Peyton Manning uses the word “Omaha” while calling audibles from the line of scrimmage. This has gotten a lot of press in the hype leading up to Sunday’s AFC Championship Game between the Broncos and Patriots. The word has been trending on Twitter the Nebraska city’s tourism department has been milking it for all it’s worth (they have lots of cows in Omaha, right? ), and Omaha Steaks has been using Manning’s favorite word for marketing purposes. I was in Omaha once. For five hours. In 1992 when I was still working on political campaigns for a living, I was hired to work on a congressional race in California. Naturally, I had to be there immediately so I drove from Baltimore to California in three days in my old 1985 Ford Bronco II. It was a crazy trip, though the only real blip came when I broke down just outside of Omaha. With all the miles I covered I was thrilled to break down only one mile from a gas station, where I sat for five hours waiting for a part to arrive. So, I’m grateful to Peyton for dredging up this wonderful memory. 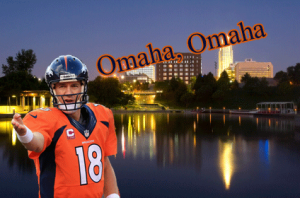 Anyway, as I watched the Brady/Manning Bowl I started reflecting on ways the word “Omaha” could be used in liturgy. At the end of the service the Verger could yell “Omaha” to change up the retiring procession. Perhaps indicating leaving one verse earlier in the hymn than originally discussed. The Celebrant could yell “Omaha” if he/she decides to call an audible at the altar and switch from Eucharistic Prayer B to Prayer D.
The Congregation could yell “Omaha” if the sermon runs over 20 minutes. 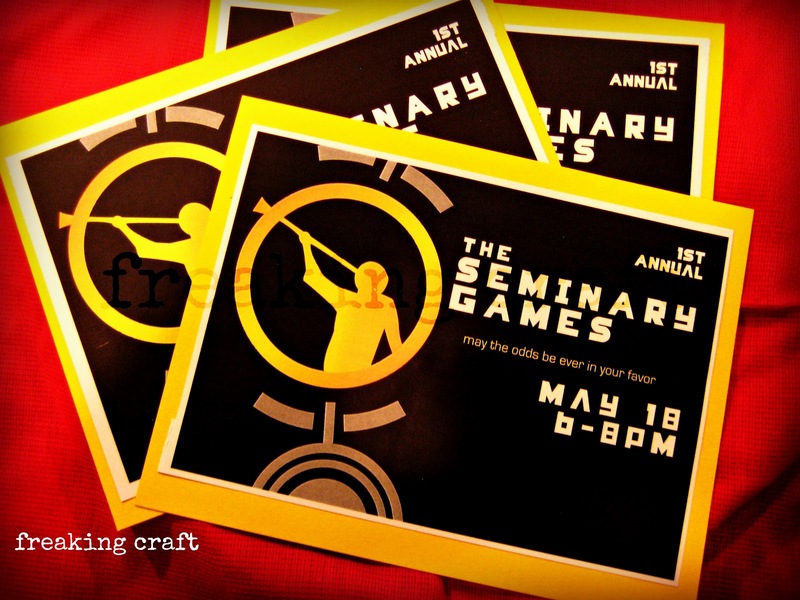 The Rector could yell “Omaha” if he/she hears heresy in the Seminarian’s sermon. The Choir could sing “Omaha” to Anglican Chant just to show off. The Ushers could point and yell “Omaha” if a visitor doesn’t place anything in the collection plate as it passes by. And if none of these work, maybe I can get the town fathers to approach Hinghamite Bill Belichick to persuade Tom Brady to start screaming “Hingham” before the snap. As football season winds down (what am I supposed to do after church now?! ), there will be a dearth of motivational quotes spouted by head coaches. While the only “motivational quote” I keep in my office is the parish mission statement, I think these are great. I thought it would be helpful to offer a few motivational quotes to post in your sacristy. This will keep all the servers motivated and focused for the task at hand. I suggest putting up a new quote every time the church season changes so they don’t get stale and the acolytes start phoning it in. Let me know if you think of others. The church needs fired up altar parties! 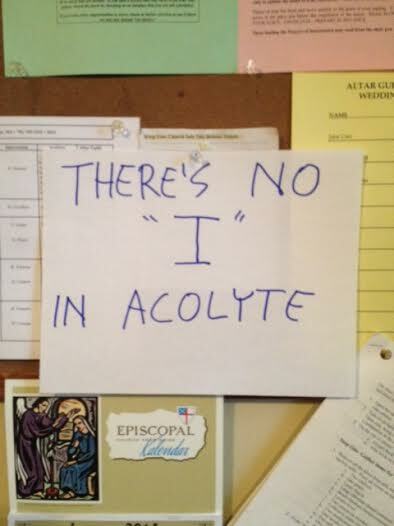 There’s no “I” in Acolyte. 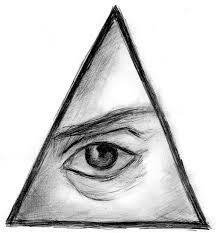 It’s not whether you win or lose, it’s how the procession flows. It ain’t over ’til the fat lady sings the dismissal. It’s not the size of a crucifer but the size of the processional cross that matters. Show me a bad liturgist and I’ll show you bad liturgy. It’s not whether the thurifer gets knocked down, it’s whether he gets up. Communion isn’t everything, it’s the only thing. Q: What happened with the acolytes at the gospel procession? Are you actively recruiting new ones? Q: The readings appointed for today seemed to give you some trouble. Are you looking forward to next week’s lessons? A: I don’t decide what the readings are. I’m not going to comment on something I don’t have control over. Q: Are you disappointed by the lack of munchkins at coffee hour? A: Are munchkins mentioned in the Bible? Q: Is the vestry excited about the new adult education program? A: You’d have to ask them about that. Q: The new Sunday School curriculum looks really engaging. Are you excited about it? A: We’ll see how it goes. Q: Did you know there are weeds growing in the church yard? A: I’m responsible for every aspect of church life. 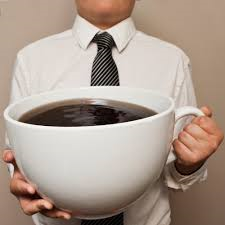 Q: Do you really think adding another service on Sunday morning is going to work? A: We just try to do what’s in the best interest of the parish. Q: Did you notice attendance is down this year? Okay, back to post-church football watching. Love this time of year!